We took a deep dive last night in our monthly What If Up Club online coaching call... daring to explore our thoughts and feelings about our own sense of identity. Who have you been in the past? Who are you now? Who are you becoming? 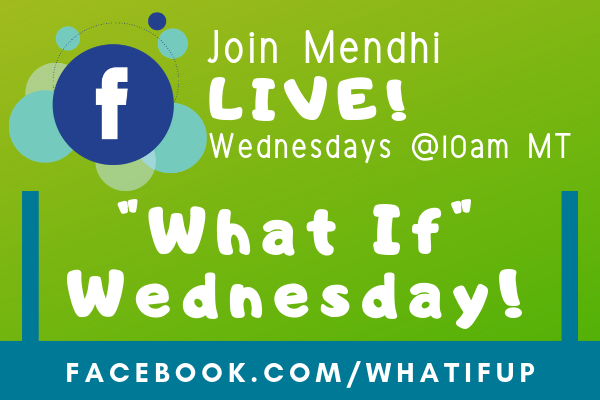 So, this week, for What If Wednesday, we dare to ask the question: Who do you think you are?? What if your sense of identity focuses on your strengths, your gifts, and your willingness to grow and expand? What if you identify and let go of limiting ideas that you (or others) may have about who you are and what you can accomplish? What if the best of who you are is partly the result of the most difficult experiences you've had, consciously leveraged for your highest good? Share your "I AM..." for who you are and who you are becoming with a community that sees your beauty, your power, and your truest, highest self. For me, I AM grateful for the opportunity to bring this community together each week for sharing, encouragement and support. Together, we can create amazing things in the world. Author of "What If It All Goes RIGHT?" P.S. I'm totally stoked to be leading a women's retreat this Saturday hosted by Unity of Houston. It's called "Let Love Lead: Expressing Your Divinity in Action"and it is going to be a fun, engaging and transformational opportunity for powerful women to come together with a shared intention of turning dreams into realities. There's still time to register, so share with your favorite women and come see me in Texas this week!